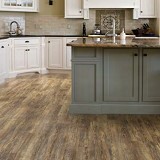 Adore Regent Waterproof Luxury Vinyl - Save 30-60% - Call Today! 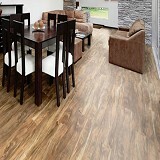 Explore Our Adore Regent Waterproof Luxury Vinyl Flooring Collection styles! 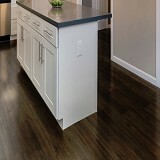 Buy Adore Regent Waterproof Rigid Core WPC Floors and Save 30-60%! Adore Regent Waterproof Rigid Core Floors have a large selection of beautiful colors, shades, and textures to choose from! ADORE REGENT Waterproof rigid core floors….reimagined. Adore® Regent's unique core construction utilizes FSC certified bamboo composite. This sustainably sourced waterproof structure offers greater strength, greater damage resistance and greater dimensional stability over leading WPC competitors. On the top layer of Regent’s composition, beautiful designer inspired visuals are enhanced for performance and include features such as four-sided beveling, Cleantech™ microbiostat technology, Duramond™ scratch and scuff resistance and an attached IXPE pad for sound absorption and comfort underfoot. Regent comes standard with the 5G Välinge® angle-drop locking system for the fastest, easiest most fool-proof installation available. REGENT… innovation in action. Buy Adore Regent Rigid Core Floors today at ACWG for 30-60% savings! Regent Solid Rigid Core is worry-proof, designed to stand up to the dings, and scratches caused by drops and static loads; waterproof, for life’s every day spills, and mishaps and enhanced with Duramond surface hardening technology, to protect against scratches and scuffs caused by everything from pets to high heels.